Seamless Gutters of Sarasota, Inc.
Absolute Aluminum & Construction Co.
Evans Roofing and Rain Gutters, Inc. Comment: Existing aluminum gutters have pulled thru anchor points on metal standing seam roof over the Lani. Gutters also need cleaning out. Approximate length of gutter affected is 25 feet. Comment: replace existing 3" with 4"
Comment: I would like to get an estimate for We removed old gutters before painting and we need to have new ones installed. B & D Seamles Gutters of Sarasota Corp.
Gulf Coast Home Products, Inc.
Sarasota Gutter Cleaning & Repair Services are rated 4.59 out of 5 based on 330 reviews of 21 pros. 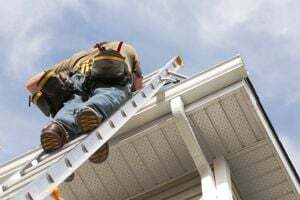 Not Looking for Gutters Contractors in Sarasota, FL?